The Taurus 1911 .45 ACP has brought sneers and jeers from 1911 snobs since it’s introduction. The company stated in it’s initial press release that their 1911 was “Destined to become the standard that all 1911 pistols are compared against”, which probably didn’t help the furor much. The nonsensical hubbub on the forums from people who have never shot one is funny. And then there are the people (again who have not shot or owned one) who acknowledge that they have “heard that it is a good gun for the price”. Adding the disparaging afterthought, “for the price”. 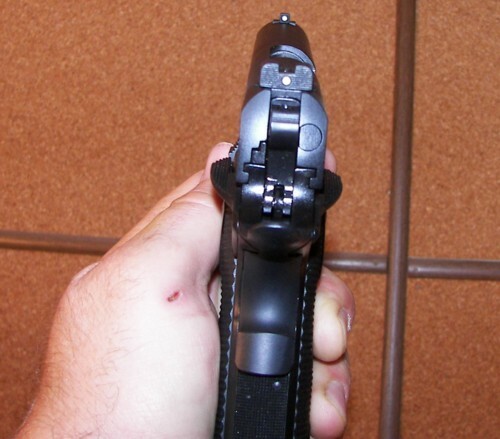 How Good Is The Taurus PT1911 Exactly? Well let me tell the forum “experts” who don’t know anything about the Taurus 1911 but continue to insult it, THE GUN IS EXCELLENT FOR ANY PRICE! And yes, I know I’m yelling, but there are things some people just don’t seem to get unless you use your outside voice. 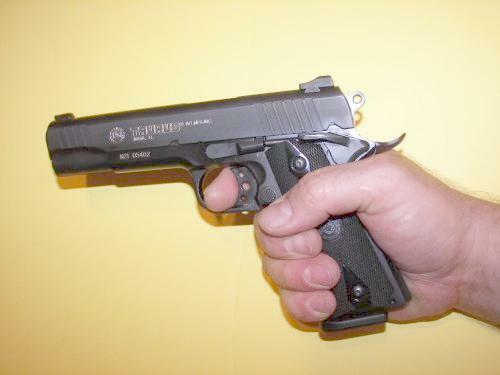 A gun like this from Wilson Combat, Kimber, Springfield, and other over-priced 1911 makers would sell for $1500. The suspicious question arises, “how can they sell it for that price if it’s any good?” After owning and shooting this gun for 6 years, my question is why do the others sell theirs for inflated prices if one this good can be manufactured and sold for around $600???? This is a gun that could be a competitive shooter right out of the box. 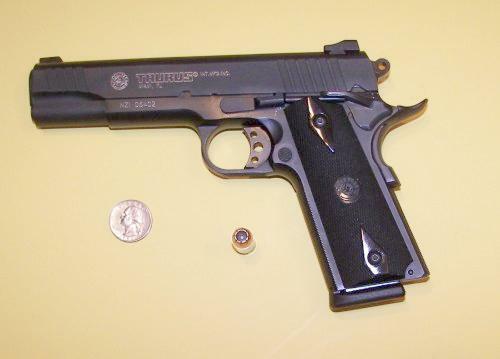 Or it could make an excellent carry pistol with it’s slim 1911 profile. Or it could be just a super-fun shooter for anybody who likes a 1911 style pistol. But whatever you want it for, home defense or concealed carry, get the Taurus 1911. They have gone up in price since I bought mine, but still retail for just under $600 most places. And at that price, most 1911 enthusiasts can not only afford one, but get a precision, competition quality shooter for the money. Forged frame, ambidextrous safety, skeletonized trigger, target hammer, serrated slide, checkered trigger guard, mainspring housing and front strap, genuine Heinie 'Straight Eight' 2-dot sights, a polished feed ramp, lowered and flared ejection port, custom internal extractor, beavertail grip safety with memory pad, extended magazine release and more. The gun and all parts are manufactured in Taurus’s plant which cuts down significantly on the cost of outsourcing manufacturing of parts. This is a gun in which no shortcuts have been taken. It is masterfully made and assembled, but…..what is it like to shoot? Utterly dependable with cheap or expensive ammo, round nose or hollow points and reloads. The accuracy of the gun is far greater with it’s match barrel and crisp trigger pull, than I can milk out of it with my shooting skills. The only downside to many Taurus firearms is the lack of aftermarket parts. But that's widely changing as Taurus progresses. Fortunately, this being a 1911, it will accept many other 1911 parts. The slides are uniquely dovetailed for Heine Straight 8 Sights and Heine is the only sight manufacturer I have found that can replace them (not that Heine are not good sights-it would just be nice to have options). NOTE: Update Oct. 2011 - Other sight manufacturers are making limited sights for the gun. The gun fits in any holster made for a full size Government 1911. NOTE: As of 2012, with new versions of the Taurus 1911, you will need to consider the holster size and shape if you purchase a gun with accessory rail. BOTTOM LINE: The Taurus 1911 is too good, and too good a buy to pass up. If you are in the market for a 1911 style pistol, you won’t go wrong with the Taurus 1911. And I suspect as time goes on, parts makers will get the message that Taurus guns are here to stay and step up with the parts we need.